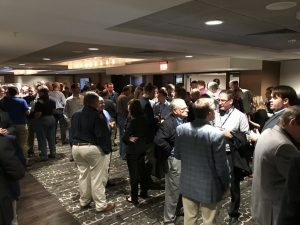 Last month, the VIM Technologies team attended the East Coast Subcommittee of the IEEE-IAS/PCA Cement Industry Conference in Allentown, PA. 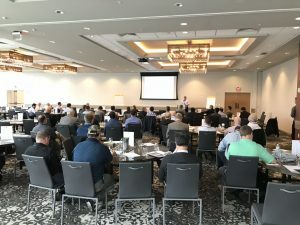 The multiple day event drew 150 attendees with workshops, interactive sessions, and technical presentations on topics ranging from technology maintenance to industry news and updates. When it comes to organizing the roles and responsibilities of your team, vendors, contractors, plant staff, and other personnel, it is imperative to have a structured action plan with assigned duties and strict schedules. Tools such as SAP and other work order software can be useful. Automated notices through Emission Management System (EMS) software help streamline personnel and project management processes. In addition to management systems, automated reports can save you time that can be allocated elsewhere. Creating daily, weekly, and monthly tables that automatically filter in information saves on data entry time. Setting DAS alarms that can be sent as an email or text can help notify your team of downtime and excess emissions, communication failures, PLC failures, analyzer errors, calibration gas pressures, and calibration failures. Automated reminders are also useful for staying on top of QA events (CGA, QGA, ACA, BH Inlet Thermocouples), gas bottle expiration dates, and regular CEMS maintenance events. Automated reports, alarms, and notifications are perfect solutions for staying on task and tackling issues as they arise. It can be beneficial to revisit your funds on a quarterly basis, or even more frequently. Completing a regular financial analysis of expenses can illuminate if funds can be more optimally allocated. Repairing or replacing old equipment with the latest and most efficient available can improve operations. Calibration gas usage and inventory, expendable supplies, and maintenance contracts are all other components of a budget that offer the opportunity for savings when revisited. There is nothing more frustrating than not being able to complete a procedure or task because the team member who normally does it is out sick or on vacation. For this reason, it is crucial to cross-train staff on various procedures. Structuring your organization as a highly compartmentalized body leads to over-reliance on certain team members. Developing an annual training plan and sponsoring monthly lunch and learn events are two ways to share knowledge across disciplines. When you spend a significant amount of time streamlining systems and personnel management, it is in your best interest to document what works and what doesn’t so a more thorough plan can be implemented in the future. 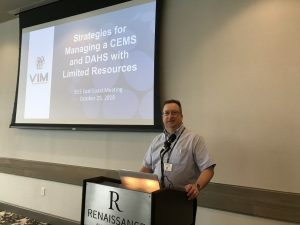 Additionally, when it comes to managing CEMS and DAHS systems, creating measurable metrics like excess emissions or calibration failures, allows for easy analysis and regulatory compliance. Operating on limited resources, whether personnel or funding, is never an ideal situation but there are ways to alleviate some of the challenges. From optimizing operations by utilizing alarms and notifications to dispersing industry knowledge and skills throughout our team, it is possible to achieve desired workflow processes and emissions compliance. Interested in attending future events that the VIM Technologies team will be speaking at? Please take a look at our events schedule. If you are in need of a system to properly collect and report emissions data, explore our CEMLink6 software. For assistance in keeping your facility compliant, our COMPAS service streamlines audits, monitoring, QA/QC plans, and reporting.